Over the course of the last year, my firm has been fortunate enough to continue growing despite the economic downturn. Nearly two dozen talented people have moved to the city of Syracuse from all over the country -- west cost, south, midwest, new england -- to take a job at this firm and call Syracuse their new home. They range in age from eager recent gradutates, to experienced and storied professionals. They've settled in a geographically diverse cross-section of the city; interestingly, all but two or three chose to live within the city limits and a substantial proportion of this group found downtown apartments to call home. This may be surprising to some, but its something we've all been made aware of, whether through our own observation or through stories in the news: People want to live in the city. People want to have a short commute to their jobs and places of recreation. People want other people around. And this isn't even the surprising point I'm referring to. This merely adds more backing to the claim that there is far more demand for downtown and urban housing that there is supply in Syracuse... although housing really is a topic for another day. What long-time Syracusans may find odd or amazing, is what these new residents think about their newly adopted home. Every one of the new transplants -- I'm pretty sure across the board -- loves the city and the CNY region. They love the convenince of the area, the natural beauty, the affordability, and are awed by the amazing building stock we have downtown [most of them are architects and designers, so are very aware of their built surroundings]. These expressions of admiration and enjoyment apparently boggle many locals' minds, since the local response is often something like "why the hell would you move here?" or "haven't you heard about our winters? you're not going to survive." This boggles my mind -- here are intelligent, creative new people, excited to be living in our city, and we immediately start telling them they've apparently made a horrible decision in coming here? Aren't these the very people that we're trying to attract back to the region? People need an attitude adjustment. 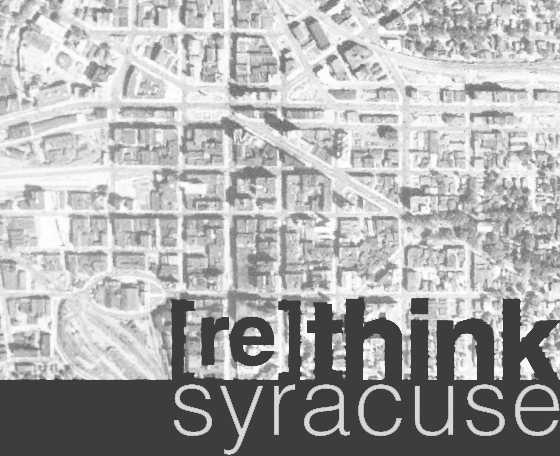 They need to open their eyes and see all that Syracuse has to offer, just as these new residents are doing. They need to realize they are all diplomats for the city -- attracting new residents adds life and vitality to Syracuse, so new arrivals should be embraced, not discouraged. Some people actually like it here. And many more people love it. I just discovered this blog via an article on 81 that a friend posted & quickly read the archives. I'm a recent transplant who spent the past 10+ years in Chicago, & this is still exactly true--every time we tell locals we like it here, we're met with incredulity. but Syracuse is a really cool city! we tell people back home it's like finding a cheaper/more navigable/less overpopulated secret corner of Chicago.